In response to concerns that federal prosecutors no longer had the tools to prosecute organized crime and organized criminal activities the Racketeer Influenced and Corrupt Organizations act (RICO) was passed in 1970 by Congress. RICO was enacted as section 901(a) of the Organized Crime Control Act of 1970. RICO provides for both civil and criminal penalties with a focus on racketeering; criminal acts or activity that are intended to benefit a criminal organization. Acts typically and traditionally associated with racketeering include obstruction of justice, extortion, bribery, money laundering, bookmaking or gambling, “protection” schemes and other activities to illegally earn money. However, the federal law is not restricted to prosecuting only those involved in traditional criminal organizations or crime families. Federal prosecutors can also utilize RICO to target otherwise legitimate businesses that have become involved in a pattern of criminal activity. In context of white-collar crime, corruption, fraud and embezzlement are acts that can give rise to RICO charges. If you are facing serious civil or criminal charges under RICO or New York’s “little RICO”, the Organized Crime Control Act of 1986, you could be facing serious criminal charges. 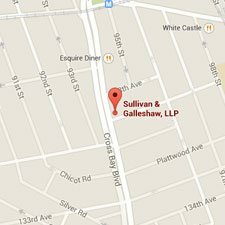 The strategic and aggressive RICO defense attorneys of Sullivan & Galleshaw fight to protect you from the potentially harsh criminal consequences prosecutions of this type can cause. What are the requirements for federal RICO charges? If convicted of a criminal offense under RICO, the maximum punishment for a single violation of the law is a 20 year prison sentence and a fine of $250,000 or double the ill-gotten gains. If certain predicate offenses were involved, then the prison sentence can be enhanced to life in prison. RICO also permits the forfeiture of property gained through the crime and of any interest held in the enterprise. Aside from the criminal charges a federal prosecutor may bring under the foregoing, following a criminal conviction, a civil plaintiff can also sue under RICO. 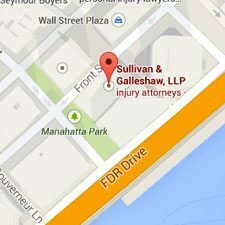 If the civil plaintiff can prove that their business or property was injured by a section 1962 violation, then they are entitled to recover treble damages plus costs and attorney’s fee. In short, RICO penalties can be extremely harsh. The definition for criminal activity was narrowed so that isolated incidents are not considered a pattern of criminal activity. OCCA does not, largely, have a continuity requirement. OCCA contains a number of procedural rules regarding joinder and severance of parties to protect against innocent third parties being swept into an OCCA prosecution. OCCA does not provide for a private cause of action. However, the consequences of conviction under OCCA can be extremely serious. Article 13-A of OCCA, like RICO, permits the civil and criminal forfeiture of property. A conviction for enterprise corruption under OCCA is considered a class B felony. Money laundering charges under OCCA can be charged at the lowest level as a class E felony, at the highest level it can be charged as a class B felony. Working with a strategic and experienced RICO and OCCA attorney can increase the likelihood that the criminal consequences you face will be mitigated or eliminated. 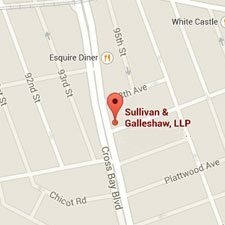 To speak to a Sullivan & Galleshaw attorney, call (800) 730-0135 or contact us online today.